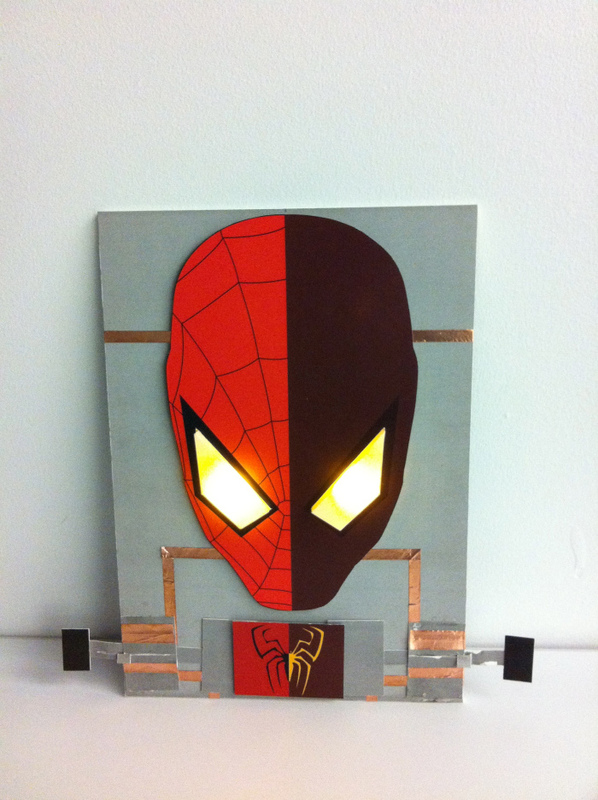 'Superhero Lamp' is a paper lamp built using copper tape, magnets and LED's. 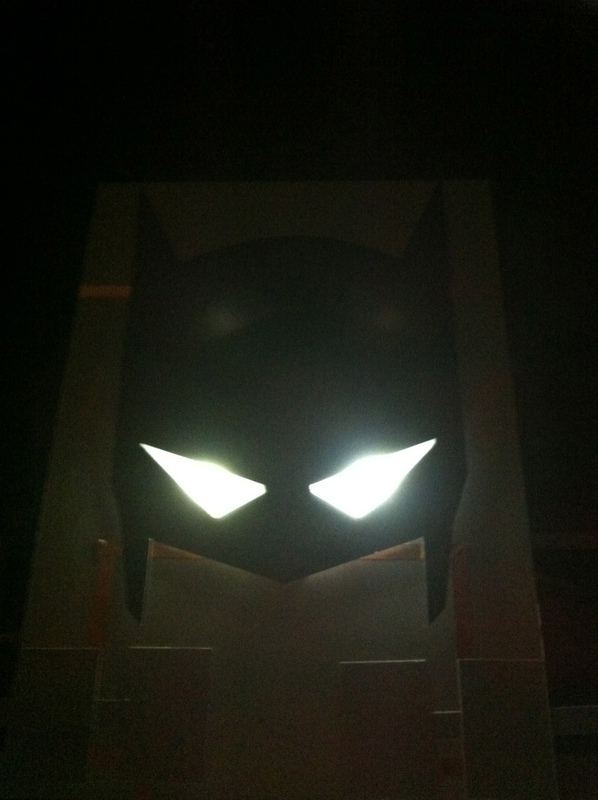 The lamp comes with three superhero masks that can be placed on the the base. The base has sliders to control the brightness of the LED's in each eye. Watch the video below to see the lamp being used.